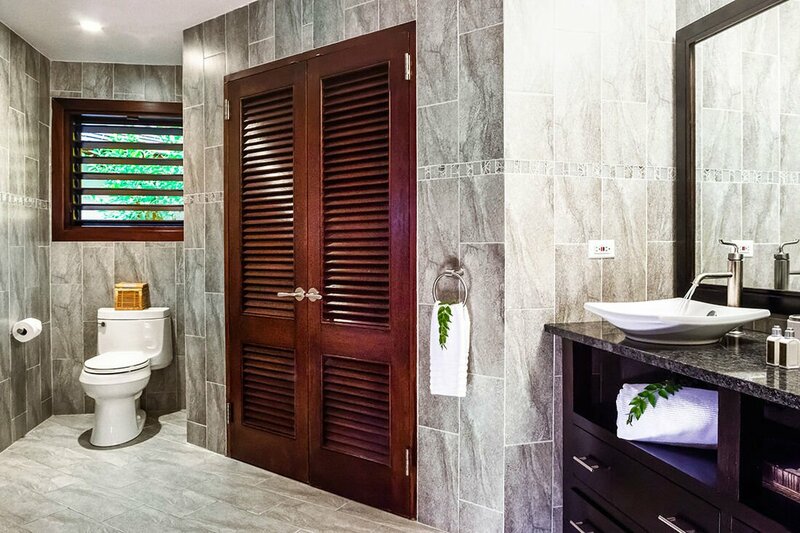 Anticipation Villa in Tryall Club is one of the newest and most contemporary villas in Jamaica. 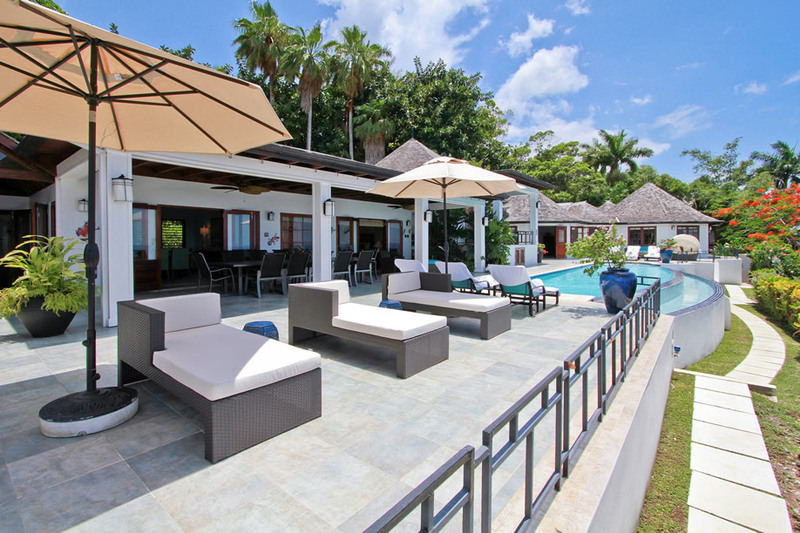 The fabulous luxury villa Jamaica is rated premier class, the highest rating in Tryall Club and is located within the club’s gated community. 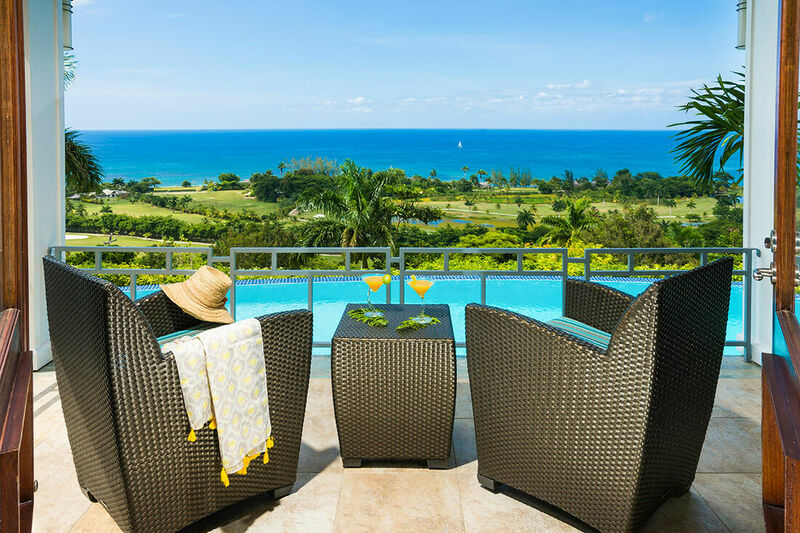 Being positioned directly over the golf course, it offers spectacular views of the Caribbean Sea and Tryall’s golf resort. The 11,500 sq. 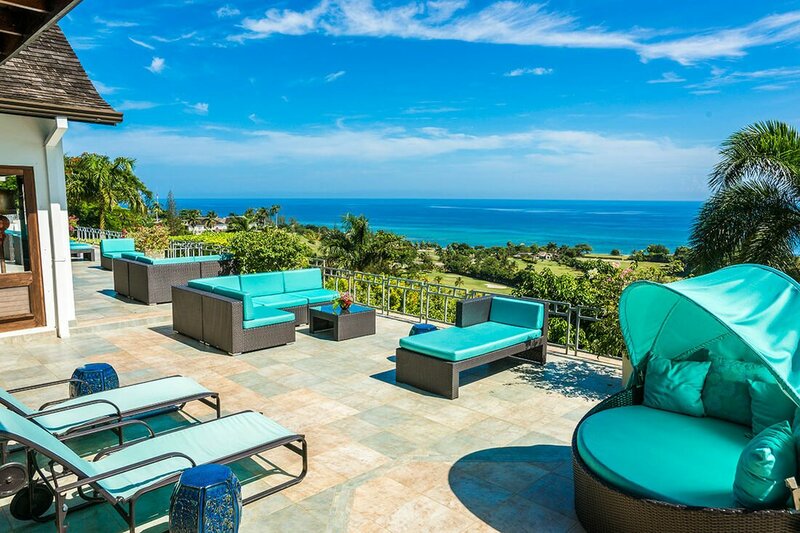 foot spacious mansion has a very open plan design to capture the trade winds and 180 degree golf and ocean views. 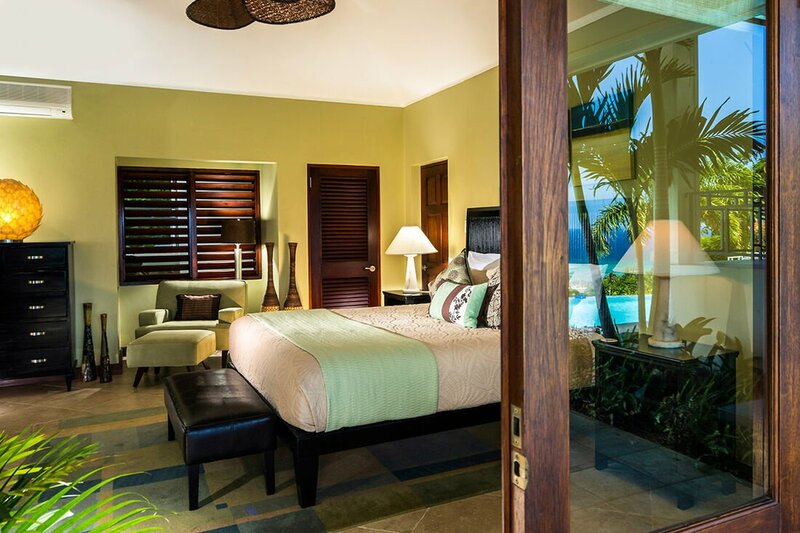 The six luxurious bedrooms are very modern and spacious, each offering picturesque views of the ocean from large glass windows and walk out balconies. 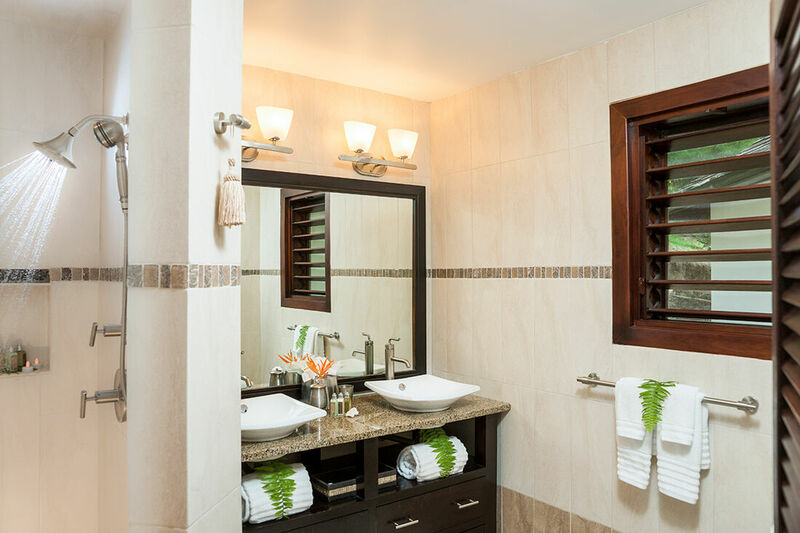 All bedrooms at Anticipation Villa are equipped with air-conditioning, safes and en suite bathrooms with modern double sink vanities. 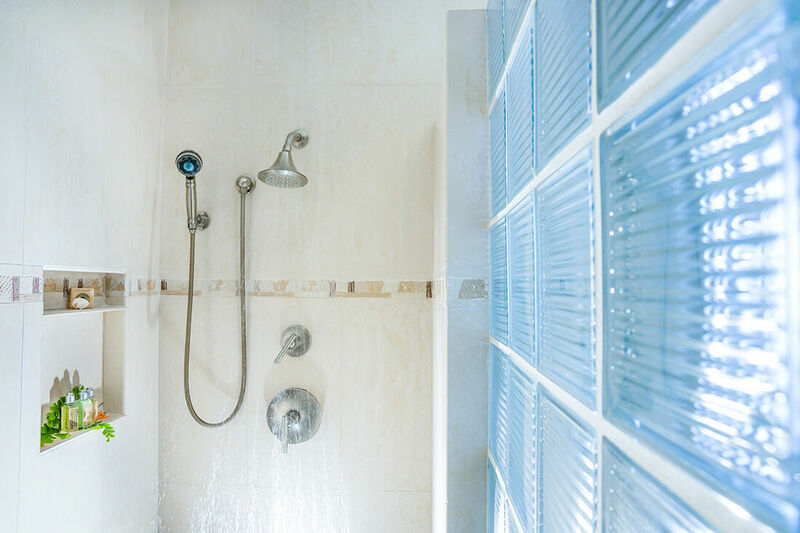 The bedrooms have entertainment systems with IPod docks, DVD and CD players, satellite radio, while the sound systems are also available in the walk out verandahs. 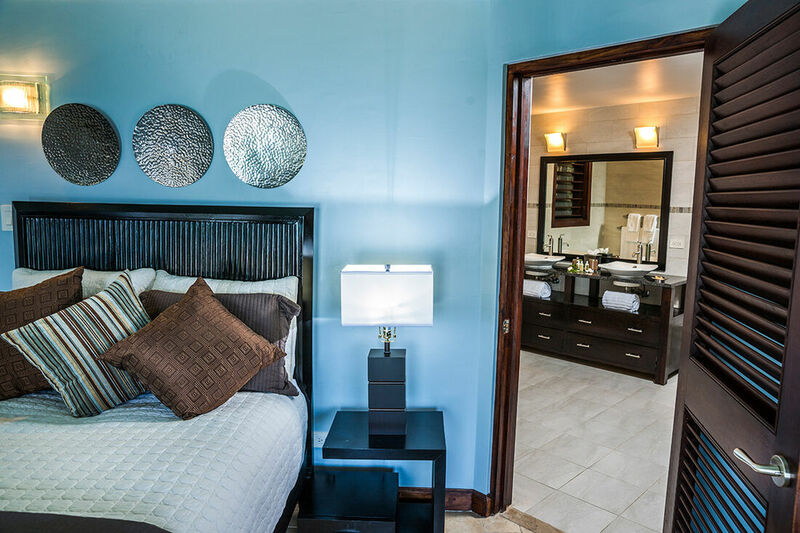 The two master bedrooms are furnished with king-sized beds; the third and fourth bedrooms have queen-sized beds, while the fifth and sixth bedrooms have two double beds each. Two bedrooms have sitting rooms with sofa beds. 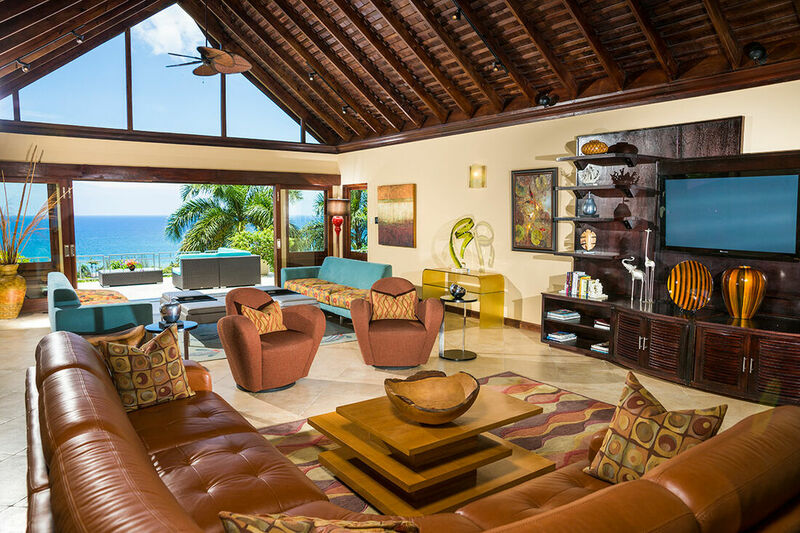 The living room at Anticipation Villa is very spacious and has lovely décor with leather sofas, attractive art and a very contemporary feel. 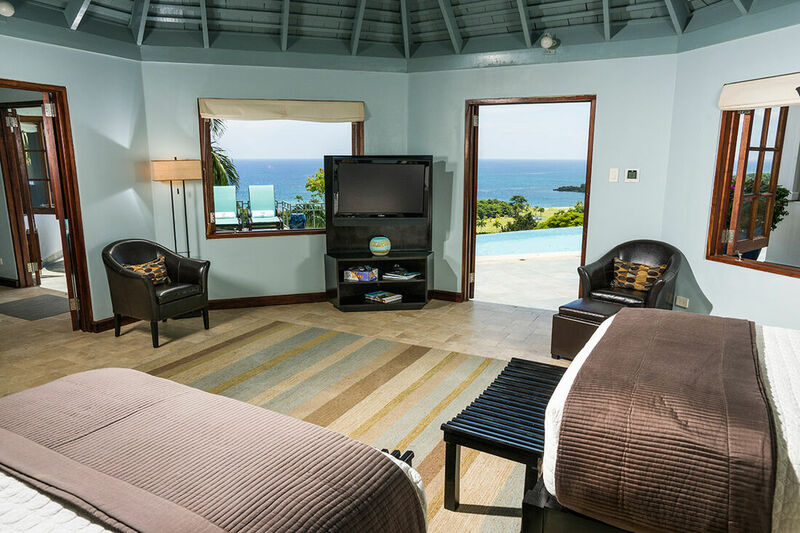 Furnished with satellite television and DVD player, this is the perfect place for some very entertaining moments with family and friends. 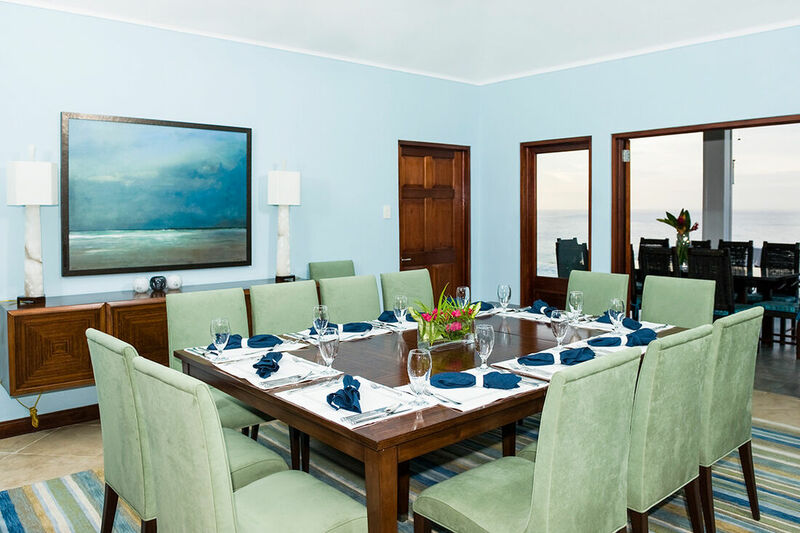 The dining room is furnished with a dining table that seats ten persons. Other facilities include phone and internet services. 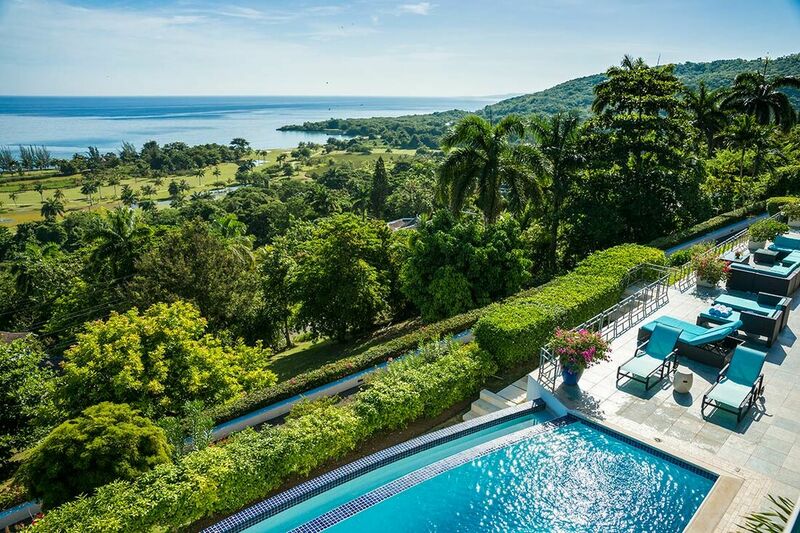 A very expansive swimming pool at the forefront of the Jamaica villa is surrounded by a spacious deck with very comfortable pool lounges. 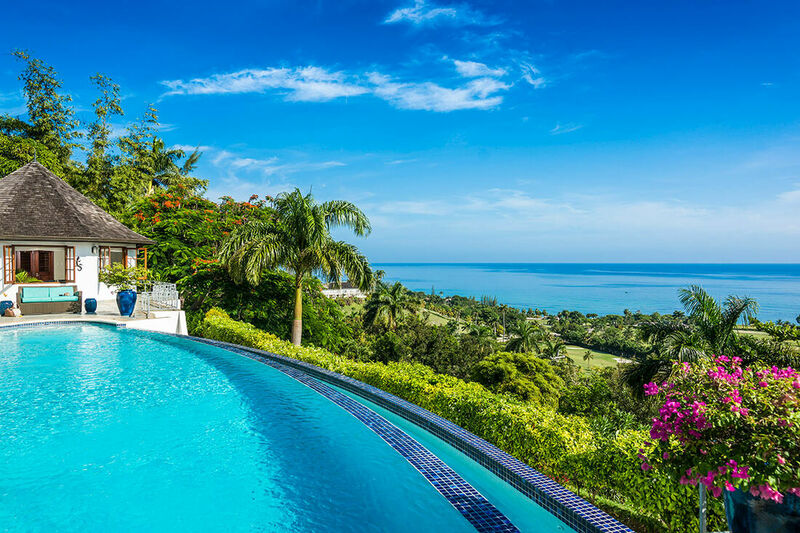 Anticipation Villa is fully staffed with a seven member staff, including the cook, butler, housekeeper, laundress, pool man, gardener and security guard. 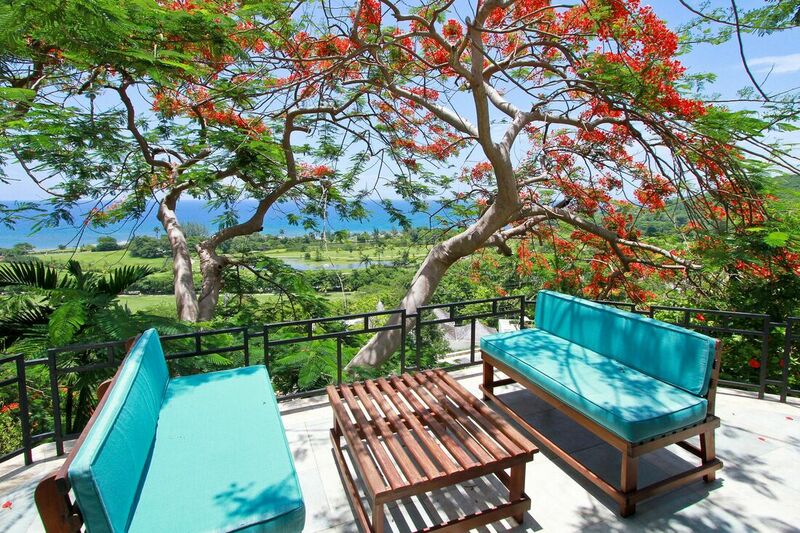 They are very courteous and provide a very warm welcome to guests at this villa rental at Jamaica. 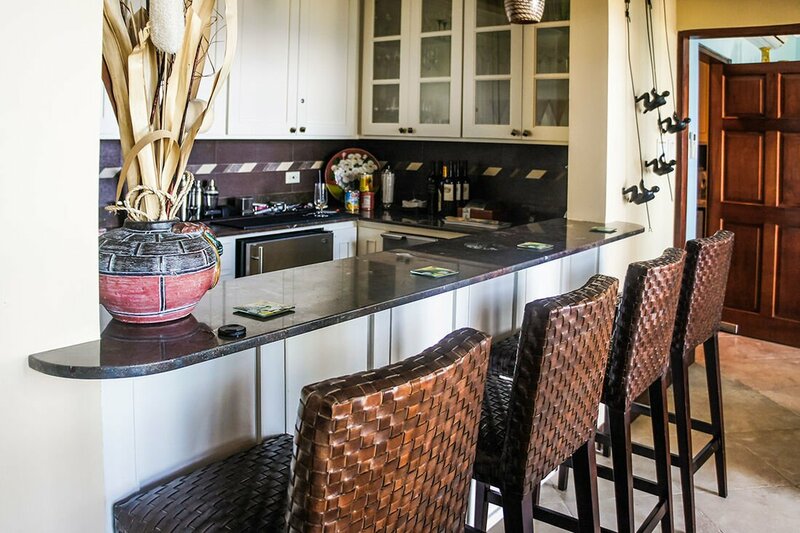 Guests at Anticipation Villa are provided two complimentary golf carts, a four seater and a six seater, enabling them to reach Tryall Beach Club within a two minutes’ golf cart ride. The airport is located at a twenty minutes’ drive. There are only 6 bedrooms in Anticipation. -Bedroom 1: Sunrise Bedroom This is the first master bedroom with king size bed, flat screen TV 37 inch, private bathroom with double vanity basin. 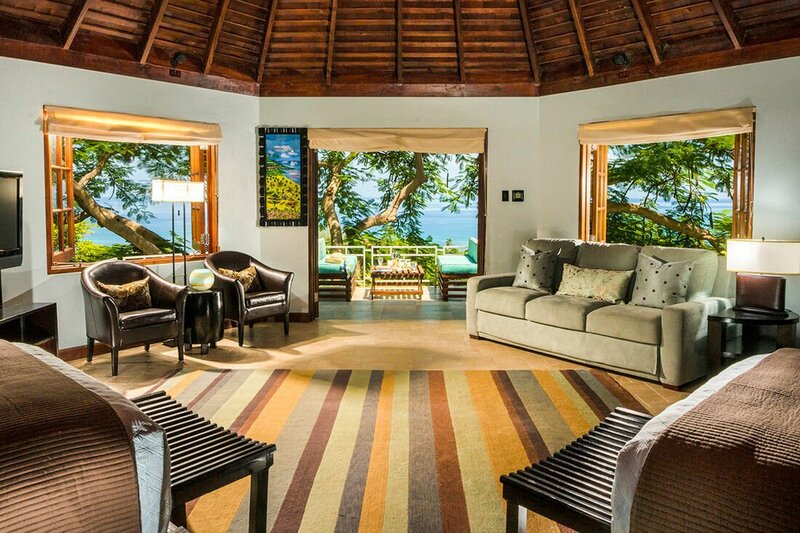 Walk out to verandah- ocean views. 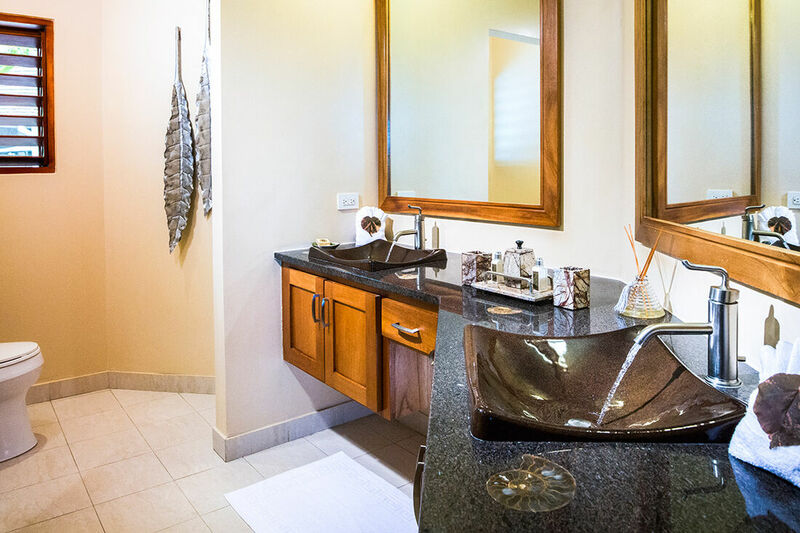 -Bedroom 2: Fairway Bedroom has a queen bed, private bathroom with double vanity basin walk out verandah with ocean views. 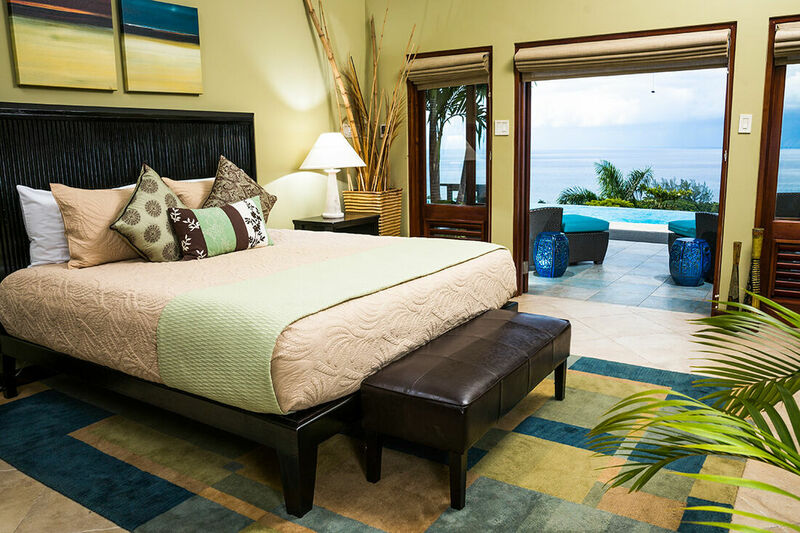 -Bedroom 3: Panorama Bedroom has a queen bed, private bathroom with double vanity basin and walk out verandah with ocean views. This room can also be doubled as an office/study as it has a sitting room with a queen sofa. 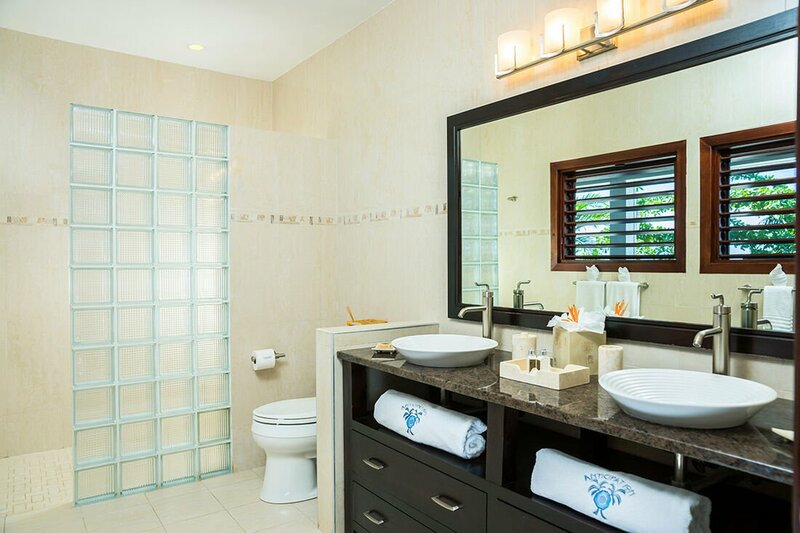 -Bedroom 4: Ocean View is the second master bedroom with king bed, private bathroom with double vanity basin. 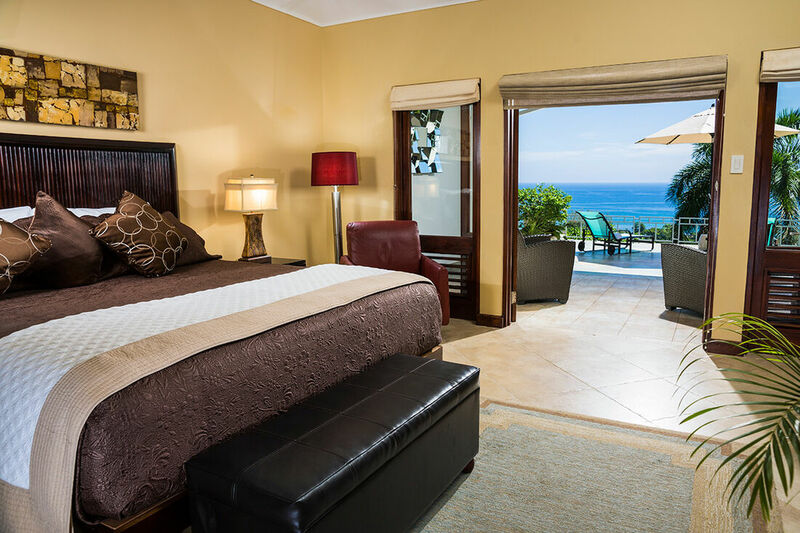 This bedroom also has a verandah with ocean views. -Bedroom 5: Sunset Bedroom has two double beds, private bathroom with double vanity basin and a sitting room with sofa bed. 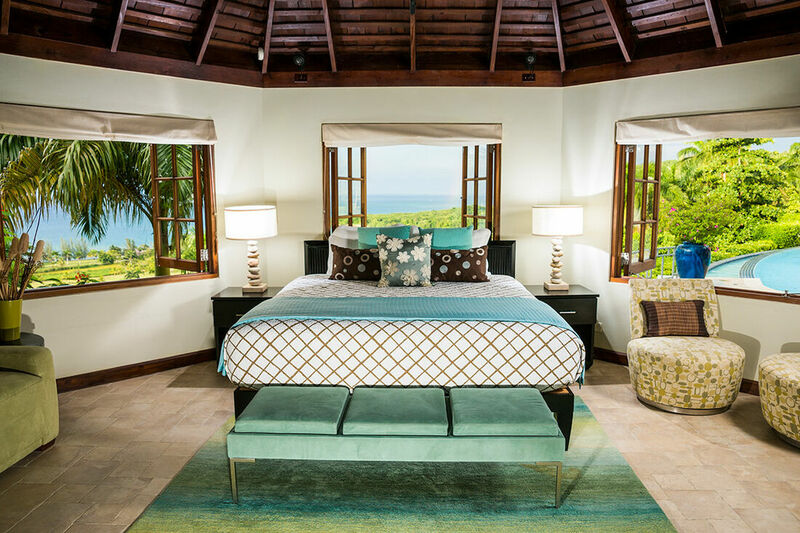 This bedroom has a verandah with ocean views. -Bedroom 6: Poolside bedroom has two double beds or push together to make a California king, private bathroom with double vanity basin. 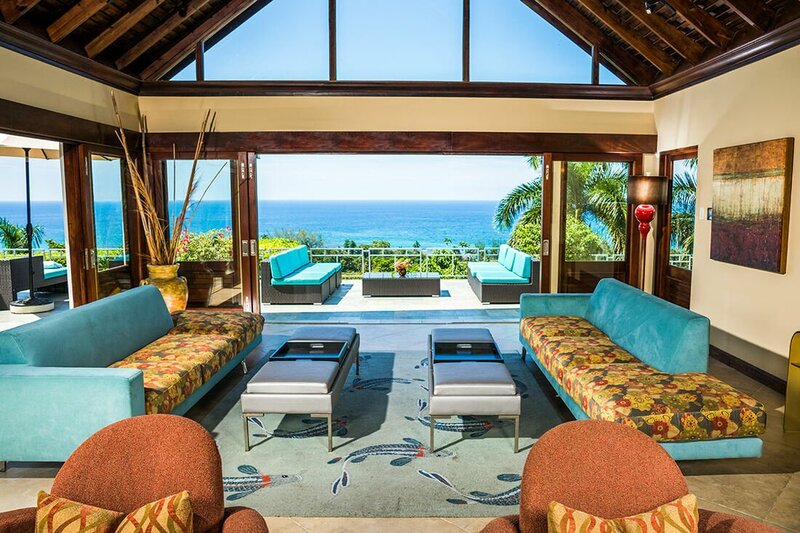 Walk out to verandah with ocean views. Two golf carts, 4 seater and a 6 seater. Only a 2 minute ride to the Tryall beach club. Refundable damage deposit of $1500.00 required prior to arrival.